So you must be looking for the best Audrey Hepburn poster? Or maybe you’re looking for a framed print of her? Whether it’s for a gift for someone else or just for you, you’re in luck. We’ll have your room or house looking elegant and classy in the style Audrey in no time! I’ve searched a couple different places on the internet. When deciding on these Audrey Hepburn posters to showcase, I took into account their uniqueness and their price (most are inexpensive). Obviously, hardly anyone would want to buy a $500 Audrey Hepburn print when they could get something similar for much less. The price range I was looking for was around $5 to $50, depending on if it was framed or not. This poster / print collection will focus more on portraits of Audrey. I’ll do an article on picture quotes later. I love the moodiness in this Audrey Hepburn poster. There’s a lot of feeling in this shot with the look and the shadows. Audrey Hepburn sitting on a patio table at her house. Looks like an everyday pic of her, I really like those bright colored pants though! Elegant pose of Audrey Hepburn on a wooden framed canvas. Love this one & the subtle pink background – MORE HERE. A fantastic vintage Breakfast at Tiffany’s / Audrey Hepburn poster – 60’s art work. MORE HERE. Breakfast at Tiffany’s Poster with Holly Golightly in her LBD (little black dress). MORE HERE. Another great Breakfast at Tiffany’s poster with Holly Golightly and her cigarette holder – MORE HERE. A slightly different shot than the poster up above with the blinds. This is from a photo shoot from Sabrina. Breakfast at Tiffany’s Poster with Holly Golightly having “breakfast” at Tiffany’s in her LBD (little black dress) and dazzling necklace. MORE HERE. Multiple shots of Holly Golightly from Breakfast at Tiffany’s all in one lovely high quality poster- MORE HERE. Audrey wearing a simple elegant black dress, looking stunning as always. Nicely Framed – A great quote by Audrey Hepburn on a background of words. I love these types of artistic prints. Large, beautiful print that any girl can identify with when waking up. Holly Golightly waking up from Paul ringing the door bell while Cat tries to help wake her. A sweeeet vintage Funny Face poster showcasing Audrey dancing on the front. A CLASSIC Roman Holiday poster – Princess Ann on her Vespa moped for the first time! A My Fair Lady Poster for every Audrey fan that has a lovely shot of her decked out in a lovely dress! If you didn’t know this already, Audrey loved hats! Another My Fair Lady Poster with a refined, regal pose. Another black and white shot of Breakfast at Tiffany’s that captures a pretty cool scene at the pre party. That concludes my best Audrey Hepburn Poster Collection! Hopefully I helped you a bit in trying to find the best Audrey Hepburn poster for your room or house. 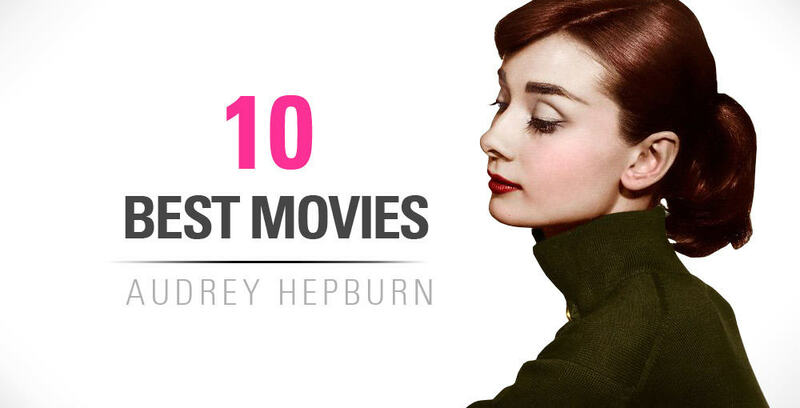 If you find any other Audrey Hepburn posters that you think should be on this list, please don’t hesitate and contact me in the comments below! Have a great one!